Danro can provide a range of thermal label printers and software to drive them. 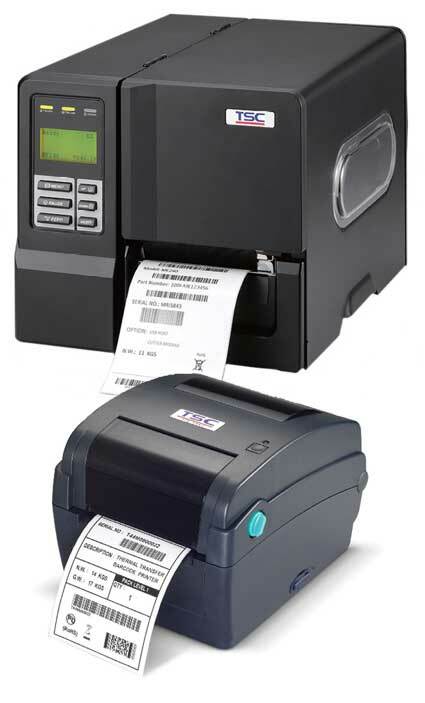 We recommend TSC printers along with Label Direct software. Our labelling systems work on Windows computers (XP, Vista, 7, 8 and 10) and are very intuitive to use. We offer desktop and industrial printing systems ranging from 2″ wide label printers up to 8″ wide industrial label printers. Print speeds up to 12 inches per second are possible with print resolution of 200 or 300 dpi.